Hanoi (VNA) – A majority of deputies agreed on the necessity of promulgating the Law on Access to Information at a debate during the 10th session of the 13 th National Assembly in Hanoi on November 27. The issuance of the law is to actualise the country’s Constitution on citizens’ right to information access, in line with the 1948 Universal Declaration of Human Rights and the 1966 International Covenant on Civil and Political Rights to which Vietnam is a member. The law will help people exercise their right of mastery, thus improving the transparency of policies and State management. To make the law feasible, it is necessary to clarify issues on published information; information providers; and procedures to implement the right to information access, lawmakers suggested. Deputy Nguyen Lam Thanh from the northern province of Lang Son said the right to information access means the right to exercise democracy, build a rule-of-law state and join socio-economic development activities. 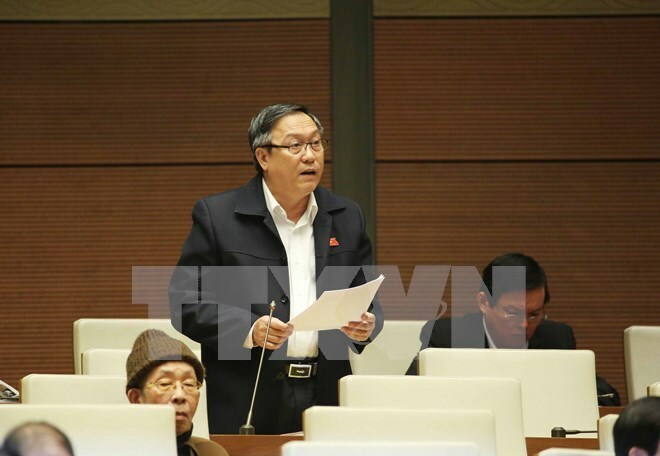 Deputy Do Ngoc Nien from the central province of Binh Thuan proposed devising additional basic regulations on the state secrets and undisclosed documents to facilitate public access to information. He said citizens have the right to know information regarding human rights and their fundamental interests. Lawmakers also discussed those having the right to information access and responsible of providing information, and settlement of incorrect information. At the working session, NA deputies adopted a draft resolution on preventing and fighting law violations and crimes. They also scrutinised activities of People’s Procuracies and People’s Courts as well as law enforcement in 2016.